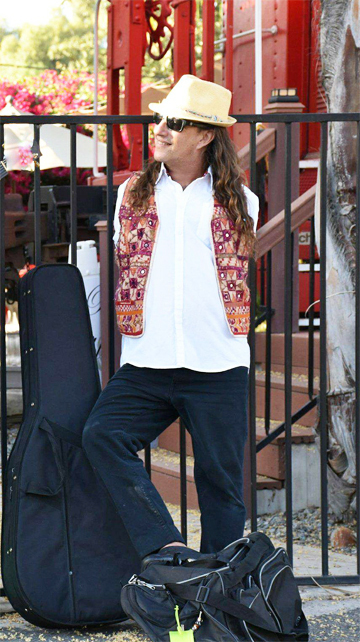 Mark E. Goffeney has achieved ongoing success as a musical performer, comedian, and motivational speaker. With over fifty million Internet views of his performances, Mark has gained an international audience and has performed on hit television shows in Holland, Germany, Japan, Korea, Turkey, Spain, Canada, U.K., and Mexico. Mark Goffeney has stared in numerous television projects including the Fox Network television commercial “Feet” which was aired during two Superbowls, over fifty news stories, his own Discovery Channel special “Born Without Arms”, and the UK’s Channel 4 Paralympic trailer “We Are The Super Humans” followed by his own mini series “Big Toe Needs a Hand”. Having recently finished the Latino Power Tour with Latin Supergroup, “Mana”, Mark now adds Madison Square Garden, The L.A. Forum, Houston Toyota Center, and many other arenas to his list of achievements. Currently working on his second album, a follow up to his debut CD “Big Toe”, Mark continues to amass a huge international following. With over 50 million You Tube views, a full calendar of live performances, Mark Goffeney gains new fans every day.